Getting the Gospel Right: Assessing the Reformation and New Perspectives on Paul, Cornelis P. Venema, Carlisle: Banner of Truth Trust, 2006. Paperback, 92 pages, $6.00 US. This is a short little book dealing with an important, relevant topic. Though not really in the Canadian Reformed churches, the doctrine of justification has been under debate elsewhere in the Reformed/Presbyterian community. Most of this debate takes place in connection with the so-called Federal Vision. However, it seems that there are also connections to what has been called the New Perspective(s) on Paul (NPP). This book is an entry-level introduction to the NPP from a Reformed perspective. The author is a United Reformed minister, professor of doctrinal studies at Mid-America Reformed Seminary and also president of that institution. 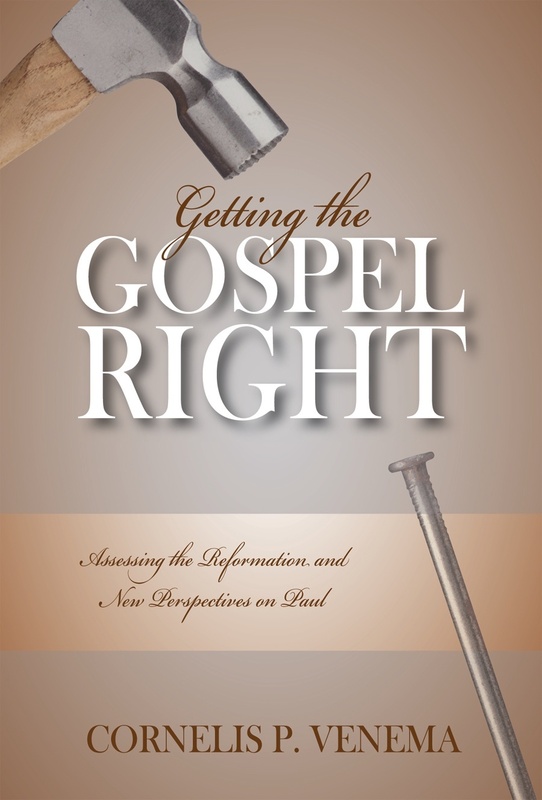 Getting the Gospel Right is a shorter, popular version of another book published by Banner of Truth, The Gospel of Free Acceptance in Christ. The book is divided into three parts. In the first section, Venema outlines “the Reformation perspective on Paul.” This perspective essentially boils down to five key features: 1) Justification is a principal theme of the gospel; 2) Justification is primarily a theological and soteriological (having to do with the doctrine of salvation) theme; 3) the Reformation claimed that the medieval Roman Catholic doctrine of justification emphasized obedience to the law as a partial, meritorious basis for justification; 4) the Reformers insisted that “works of the law” in Paul refer to any acts of obedience to the law which are then regarded as a ground for acceptance with God; 5) the righteousness of God is something that God freely grants and imputes to believers. The last substantial section features a longer critique of the views of Sanders, Dunn and Wright. He believes (rightly) that the rejection of the Reformation perspective is partly based on confusion between Pelagianism and semi-Pelagianism. The Reformers never said that the Roman Catholic doctrine was Pelagian nor (speaking anachronistically) that the Judaists of Paul’s day taught Pelagianism. Rather the charge was one of semi-Pelagianism. This is just one problem among several that Venema highlights in this chapter. Venema concludes, “Though it may be admitted that the new perspective has illumined some significant aspects of Paul’s understanding of the gospel, its claims to offer a more satisfying interpretation of Paul’s gospel than that of the Reformation seem at best overstated, and at worst clearly wrong.” (91). I’m looking forward to reading the longer version of this book. I can certainly recommend this one to those looking for a place to start in trying to understand the controversies that have beset many North American Reformed churches in recent times. If I have just one small beef, it’s the use of Internet sources in some of the footnotes. Since this book was published many of the links no longer work. Since authors like N.T. Wright have a wide following, one can google the titles and find them, but it is a bit of a nuisance. I’m not sure how a problem like that can be solved. I came across this notice about a new book coming out from N. T. Wright. Among other things, the book makes a case for theistic evolution and women in office. It’s not new that Wright holds these positions, but this book apparently brings it to the fore. It’s a good reminder that Wright cannot be trusted on some very important issues. 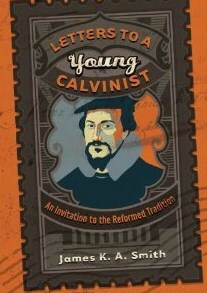 Letters to a Young Calvinist: An Invitation to the Reformed Tradition, James K. A. Smith, Grand Rapids: Brazos Press, 2010. Paperback, 134 pages, $16.99. I went through it and so have many others. Discovering the Reformed faith can make young people (especially young men) obnoxious. They call it the “cage phase.” You get pumped about everything Reformed and can’t understand why no one else is excited about what you see. You get frustrated and even perhaps angry and the people around you, rather than getting drawn to the Reformed faith, are turned off. Letters to a Young Calvinist is addressing those in the “cage phase.” It’s an attempt to give some winsome counsel to those just discovering Reformed theology. The author is a professor of philosophy at Calvin College. He’s written several books, including a volume that I recently reviewed, Desiring the Kingdom. Smith was not born and raised Reformed, so he speaks from personal experience. The book is structured around 23 letters addressed to a fictional “young Calvinist.” The addressee is a composite of various individuals that Smith has encountered. Interspersed are also four “postcards” from Geneva, Princeton, Amsterdam, and Seoul. Through these letters and postcards, Smith wants to orient “Jesse” to the depth of “the Reformed tradition,” especially getting him to see that it stretches far beyond five points relating to God’s sovereignty in our salvation. I appreciated the two letters about pride. Given the doctrines of grace, it is an odd thing for Reformed people to be proud, and yet this is one of our most besetting sins. Smith encourages “Jesse” to read the Confessions, beginning with the Belgic Confession. He emphasizes the connections between the early church and “the Reformed tradition.” He points out that Calvinism affirms the essential goodness of creation. Only the good Creator can create, but “the devil can’t create a thing. He can only corrupt and corrode” (119). Moreover, Smith writes accessible and enjoyable prose – this is not difficult reading. Unfortunately, there are problems in this little volume. There are problems of facts. So, for instance, on page 19, Smith asserts that the doctrine of total depravity comes first in the Canons of Dort. Actually, it does not get unfolded until chapter 3/4. He speaks of the United Reformed Church in the singular, whereas it should be plural, “Churches” (35). In his postcard from Amsterdam, he goes to the Free University established by Abraham Kuyper and wonders, “…what sort of Calvinism makes one found not a seminary, but a university?” Of course, there already was a seminary in Kampen, and besides, the Free University included seminary training, making this an odd question. But those problems could be overlooked. Others cannot. On pages 104, he states that N. T. “Wright’s account of justification deeply resonates with covenant theology.” He then provides a lengthy quote from Wright. This is troubling since Wright denies the imputation of Christ’s righteousness in our justification and thereby gets the gospel wrong. What is Reformed about this account of justification when it contradicts article 22 of the Belgic Confession? For more on why Wright is so wrong, I would highly recommend the first four chapters of By Faith Alone: Answering the Challenges to the Doctrine of Imputation, edited by Gary Johnson and Guy Waters. Related to that, Smith follows Kuyper in saying that the Lutherans make justification central (“the dominating principle”), while Calvinists make God’s sovereignty central. The consequence is that Smith marginalizes justification. More recent scholarship has uncovered the fallacy of the “central dogma theory.” Both Luther and Calvin were convinced of the importance of justification by faith alone through Christ alone. Moreover, it was a Reformed theologian (J. H. Alsted) who first directly said that justification is “the article by which the church stands or falls.” Luther and his followers had expressed similar thoughts, but Alsted is where the words originate. And Alsted was simply echoing the Reformed consensus. One of the oddest things in the book is the discussion of the “Young, Restless and Reformed” movement in Letter 12. Smith finds it strange that five point Calvinism would be so widely embraced in Baptist seminaries and churches (and other non-Reformed churches), while the rest of the Reformed faith is ignored. He lays the blame for this at the feet of the Westminster Standards because they do not adequately emphasize the church. Now it is true that the Westminster catechisms are short on the church, but the Confession has a full chapter dedicated to it. Moreover, there are a good many confessional Presbyterians who argue forcefully for a robust ecclesiology and a church-centered, means of grace approach to spirituality and ministry. I don’t see how Smith’s conclusion follows from his premises here. I sense that Wright’s New Perspective insistence that the gospel is more about the doctrine of the church (ecclesiology) than about salvation (soteriology) may be playing a background role here. That leads us to another issue where there is some irony. When discussing church membership with “Jesse,” Smith neglects to mention the ecclesiology found in article 29 of the Belgic Confession. There are true and false churches. True churches can be determined with the marks outlined there: pure preaching, pure administration of the sacraments, faithful use of discipline. Why not counsel “Jesse” to apply these marks and find a true church? I’ve got other beefs with this book, but let me finish with this one. On pages 94-95, Smith discusses the issue of women in office. He states that a Reformed hermeneutic of “creation-fall-redemption” is what led him to this position. He argues that the subjection of women is bound up with the fall, not with creation. I don’t find this argumentation persuasive. When Paul asserts that women should not authority in the church in 1 Timothy 2:12, he gives two reasons: “For Adam was formed first, then Eve. And Adam was not the one deceived; it was the woman who was deceived and became a sinner.” Creation is part of this and it comes first. And when he compares the issue with slavery he clouds matters, because slavery in the New Testament was much different than slavery in modern times. The subtitle says, “An Invitation to the Reformed Tradition.” I’d like to suggest a revision: “An Invitation to a Reformed Tradition” or perhaps better: “An Invitation to the Christian Reformed Tradition.” This volume doesn’t present a monolithic “Reformed Tradition” consensus, but an idiosyncratic version. Sadly, for the few good things in this book there are also some serious problems, problems which reflect the state of the Christian Reformed Church. Yet we do need a book like this for the young Calvinists – Welcome to a Reformed Church by Daniel Hyde would be a better choice. I’m currently reading By Faith Alone: Answering the Challenges to the Doctrine of Justification, edited by Gary Johnson and Guy Waters. 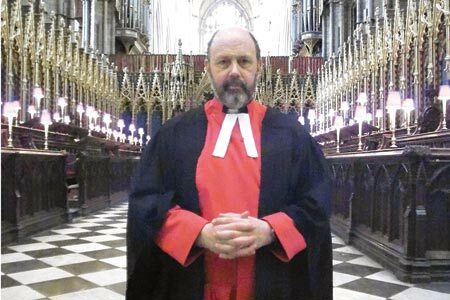 The first four chapters deal extensively with the New Perspective on Paul, and special attention is given to N. T. Wright. Cornelis Venema, T. David Gordon, Richard Phillips and C. Fitzsimons Allison are all concerned to expose the fundamental problems with Wright on the question of imputation. Wright dismisses imputation and for that reason he falls outside the bounds of biblical orthodoxy. Among other things, he has argued that “the righteousness of God” refers to his covenant faithfulness in key passages such as Romans 1:17 and Romans 3:21, rather than a status imputed. He says that there is no imputation of God’s righteousness for the Christian. This contradicts both Scripture and the faithful summary thereof in our Reformed confessions (e.g. HC LD 23 & BC 22). When it comes to justification (the heart of the gospel), Wright is a false teacher. I don’t say that cavalierly. I say that having studied Wright’s arguments and the counter-arguments. If anyone questions that conclusion, I would urge you to get this book and read it carefully. Indeed, the glory of imputed righteousness is not merely that it overcomes the threat that I have looked upon with mortal horror, namely, the perfect righteousness of the divine Judge. The glory of this scriptural truth is not mainly that it permits me to escape this praiseworthy office of God and his glorious attributes of perfect holiness, justice, and truth. Instead, the glory of imputed righteousness is that it provides the grounds by which the Judge in his perfect justice acclaims me righteous and embraces me to his heart. Clothed in the perfect righteousness of the Lord Jesus Christ I no longer fear God’s justice but I rejoice in it, for it now demands that I be entered into life with all the blessings of heaven. God “shows his righteousness” in my justification; he is “just and the justifier of the one who has faith in Jesus” (Rom. 3:26). Praise God for the gospel! Let us believe it and faithfully defend it.